Ray Zahab is Mission Possible. 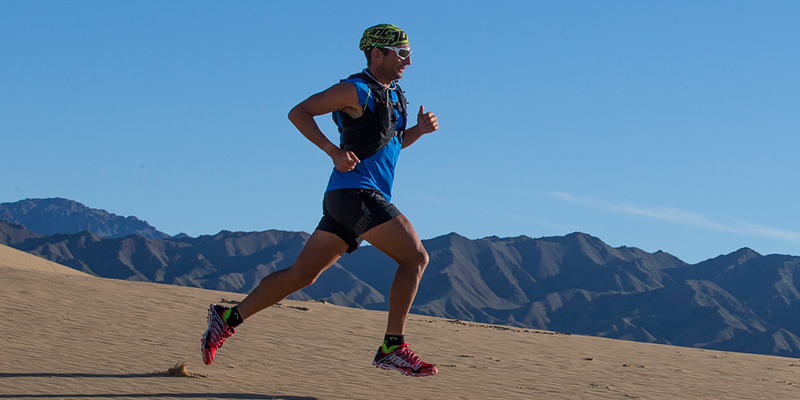 In 2006 Ray along with 2 other runners, set out to run across the Sahara Desert. 111 days and 7500km later their journey was completed when they reached the Red Sea. National Geographic tracked the expedition and the documentary ‘Running the Sahara’ was created to raise awareness for drinking water crisis in North Africa. After this experience, in 2008, Ray founded impossible2Possible (i2P), an organization that aims to inspire and educate youth through adventure learning, inclusion & participation in expeditions at no cost. From 2009 to present, selected Youth Ambassadors have completed 10 gruelling i2P Youth Expeditions from Baffin Island to the Atacama Desert. All expeditions include various challenge-based initiatives through experiential learning programs which then 1000’s of students from classrooms worldwide also participate as active team members. Today Ray remains a dedicated volunteer in i2P, he is currently working on a future project to bring his own expeditions, such as last years 2300km run across the Gobi Desert in Mongolia, to viewers around the globe. And as always, he continues to spread the message that we are all capable of doing extraordinary things in our own lives. Really loved the range of presenters - from Olympic athletes to next-door-neighbour-types, it was so inspirational to know that skill, ability, and experience were not required prerequisites to get out there and adventure; all you need is the determination and desire to do so. Thanks for an awesome event!